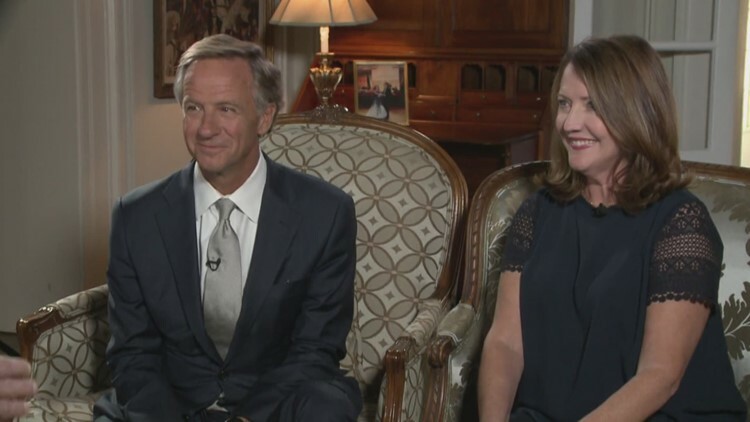 The former Tennessee governor and Knoxville mayor recently returned with wife Crissy from an extended vacation that included time in New Zealand. He's pondering a bid to become a U.S. senator from the Volunteer State. KNOXVILLE, Tenn. — Former Tennessee Gov. Bill Haslam met this week with Vice President Mike Pence in Washington as he ponders his future. While Haslam said last year he’d likely decide whether to run for Tennessee senator by this point in March, he’s still considering his options. Politico reported the meeting this week and WBIR has confirmed it. Those close to Haslam say he’s consulted many people about being a senator – including retired U.S. Sen. Bob Corker, R-Tennessee, and Republican U.S. Sen. Lamar Alexander, who has decided not to seek reelection in Tennessee in 2020. But just as he conducted himself while Knoxville mayor and as governor, Haslam is deliberate and thoughtful about making big decisions. Longtime associates say he’s under no pressure to run for the Senate – or to do anything else for that matter. The billionaire businessman also just returned a couple weeks ago from a vacation with wife Chrissy that included time in New Zealand. And, friends say, he’s enjoying being a citizen right here in Knoxville. Crissy Haslam told 10News last fall they were looking forward to coming home and spending time with family and friends. Haslam, 60, and Pence, 59, are contemporaries and friends. Haslam was Tennessee's governor when Pence took over the same office in 2013 in Indiana. They worked together as governors. The youngest son of Pilot Flying J founder Jim Haslam, Haslam was limited to two terms as governor. He also was elected to two terms as Knoxville mayor in the 2000s after working in the family business. Gov. Bill Haslam arrives with his wife Crissy for his 2015 Inauguration at the legislative plaza on Saturday, Jan. 17, 2015. Bill Lee took over as governor in January.